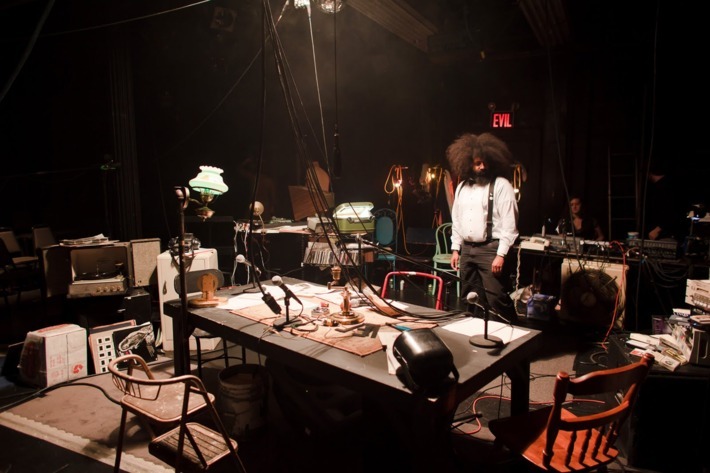 Anyway: What a joy it was, at the end of an otherwise downer week, to sit down at Radio Play, the comedy polymath Reggie Watts’s lights-out jam of old-fashioned radio drama, newfangled hip-hop looping, and pop-culture free association. (It’s around only until May 28, so book now.) 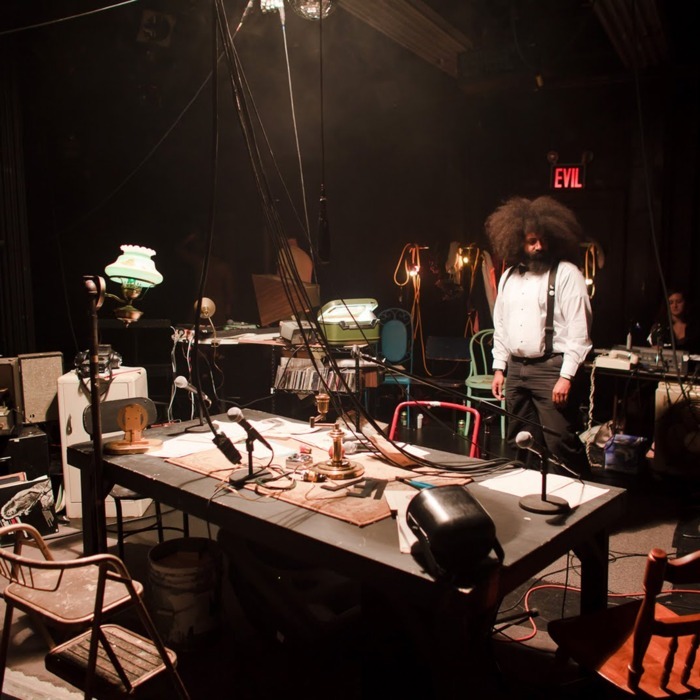 The stage — kissed with precious little light for most of the show’s 90 minutes — is littered with media gizmos old and new, like the basement lab of some wild-haired whiz kid. (Which is what Watts is.) A baggy stoner-nerd genius known for his polymorphous vocal stylings and bravura musical shenanigans on Conan and elsewhere, Watts enters to theremin accompaniment and mans his customary multitrack recorder and keyboard array, overlaying beatboxed rhythms, caramel melodies, raps, and hilarious narration, as a team of velvet-voiced actors help him curate a night of abstract comedy sketches and burps of absurdism. Radio Play isn’t what I’d call a play, per se: It’s closer to an alt-comedy variety hour, as if Girl Talk and They Might Be Giants took over “A Prairie Home Companion.” If this is the future of stunt theater — watch your back, Stomp — let it come. At P.S.122 through May 28.